Schools across the country are striving to become more advanced, more up-to-date and get students really involved in fields such as science and technology. A teacher at Haddonfield Memorial High School was recently honored for his work in advancing science and engineering at multiple schools in the South Jersey area. “I have always had great respect for the American Association for the Advancement of Science. Being a member of this association is one way I feel connected to the scientific community, so I feel honored to be selected by the AAAS as Teacher of the Month,” Kidd said. The world’s largest multidisciplinary scientific society and a leading publisher of cutting-edge research through its “Science” family of journals, AAAS has individual members in more than 91 countries around the globe. Membership is open to anyone who shares the goals and belief that science, technology, engineering, and mathematics can help solve many of the challenges the world faces today. Kidd is a member of the AAAS, having read its journal “Science” for years. Kidd has a bachelor’s of science degree in science education from Temple University and recently earned a master’s degree in environmental engineering from Drexel University. 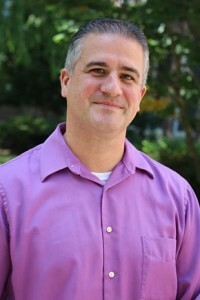 He is dual certified to teach both mathematics and physics in Pennsylvania and New Jersey. He teaches algebra-based physics, AP physics C: classical mechanics and electricity and magnetism, forensic science, and intro to engineering at Haddonfield Memorial High School. “At Haddonfield I have expanded the AP Physics offering to include Electricity and Magnetism and, with the support and encouragement of the principal and superintendent, created a new project-based class in engineering. Since I was developing an engineering curriculum, I felt that it was my professional responsibility to have a degree in engineering so I enrolled at Drexel,” Kidd said. Kidd is also an adjunct professor who teaches physics at Rowan College at Burlington County. Originally working in the entertainment industry, Kidd made the choice to switch careers and said it was the best decision he ever made. Kidd began teaching in early 2010 and, having his eye on HMHS, he was hired at the high school in October of that year. Kidd is inspired by his students and is always looking for new ways to demonstrate concepts that engage them. In physics, he develops labs that provide students with hands-on experience, but allows them the opportunity to determine their own procedures for data collection. In engineering, students work on projects and discover through research and multiple trials how to optimize their project to accomplish their goals. “Having this approach allows much more variety and many creative approaches to problem solving. Every students’ project is different,” Kidd said. Kidd hopes his students gain self-confidence in themselves and their work, and an understanding that it is only hard to solve a problem until you learn how to do it. Just like how his students inspire him, Kidd hopes his teaching inspires his students.